Earth Day is our favorite day of the year, and we always like to celebrate with our friends and neighbors in Sonoma Valley. 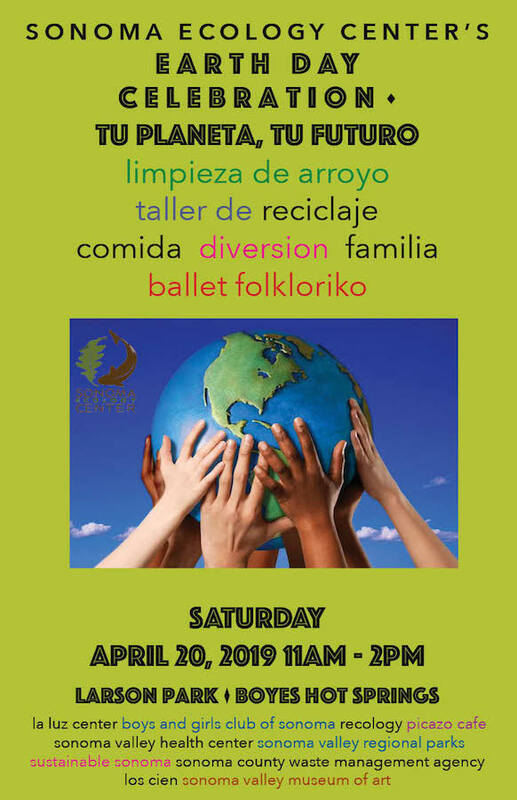 This year will be no different, as Sonoma Ecology Center hosts an Earth Day Celebration at Larson Park on Saturday, April 20. Events and activities will include games, food, a quick creek cleanup, and an in-depth look at proper recycling. This event is for all ages!